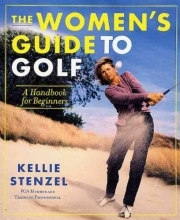 A teaching professional on the LPGA tour takes beginners on an instructive trip to the links, sharing her insights into avoiding embarrassing mistakes, the basics of the game, tips on improving one`s stroke, and much more. Reprint. How Do I Get This Little Ball into the Air? What`d I Do Wrong, Coach? Club Fitting---How Do You Know What Club`s Right for You? Are Women People in the World of Golf? Playing Pregnant---To Swing or Not to Swing? What Is a Handicap, and How Do I Get One?